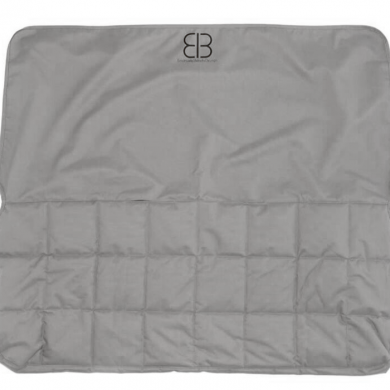 The Back Seat Protector from Emmanuel Bianchi is constructed with extremely durable polyester "canvas", protecting your car from dirt, mud, dog hair and more. The underside is made with an anti-skid mesh keeping the seat protector in place, and thanks to ingenious neoprene belts the two loose corners are solidly anchored to the seat. All in all a very comfy seat for your dog that looks good and protects your car interior seat. There are openings in the seat cover where your dog's seatbelts can be put through to ensure a safe ride. Read 7 customer reviews of EGR EB Seat Protector Rear Seat. The average customer rating is 4.9. The EGR EB seat cover is the perfect fit for our car. 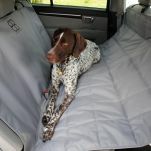 It is well made and offers great protection for the leather on the rear seat and the dog loves it. Highly recommended. Great quality but there were tags and buckles on the side with no straps or instructions as to what they were for,so we assumed they were for other fittings or vehicles as there was nothing else in the package. An explanation sheet would have been good. Apart from that, very happy and easy to fit. 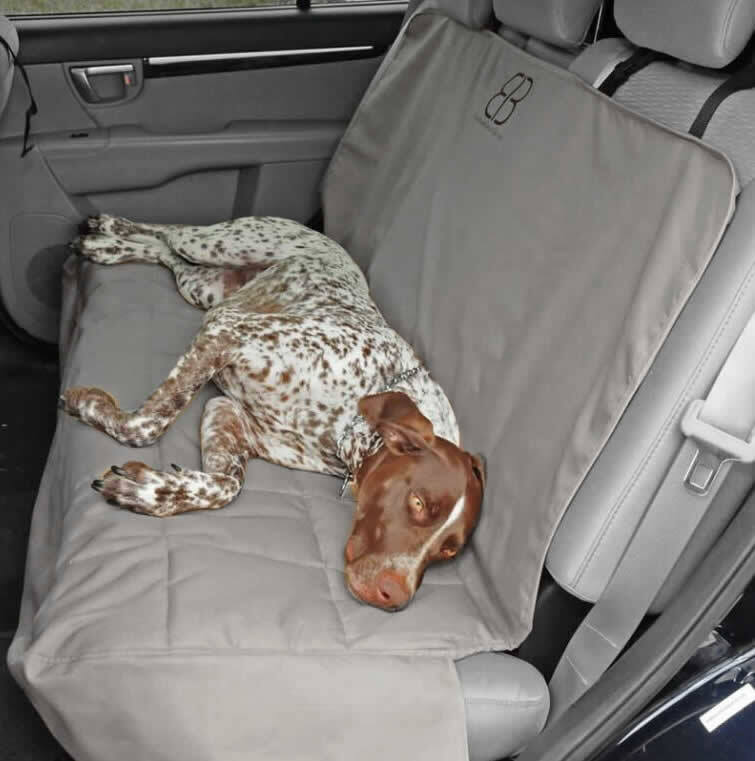 The EGR EB Rear Seat Protector fits perfectly, and is rugged enough to accommodate 3 dogs. Best seat protector money can buy, Fits the car seat so well and doesn't slide around on the leather. It comes down over the sides so the leather doesn't get scratched when the dogs jump in. Muddy paw prints easily wipe clean. .... Best purchase !!!!!! I have installed the EGREB rear seat cover in my Pajero. The seat cover is well made and sturdy with deep stitching. 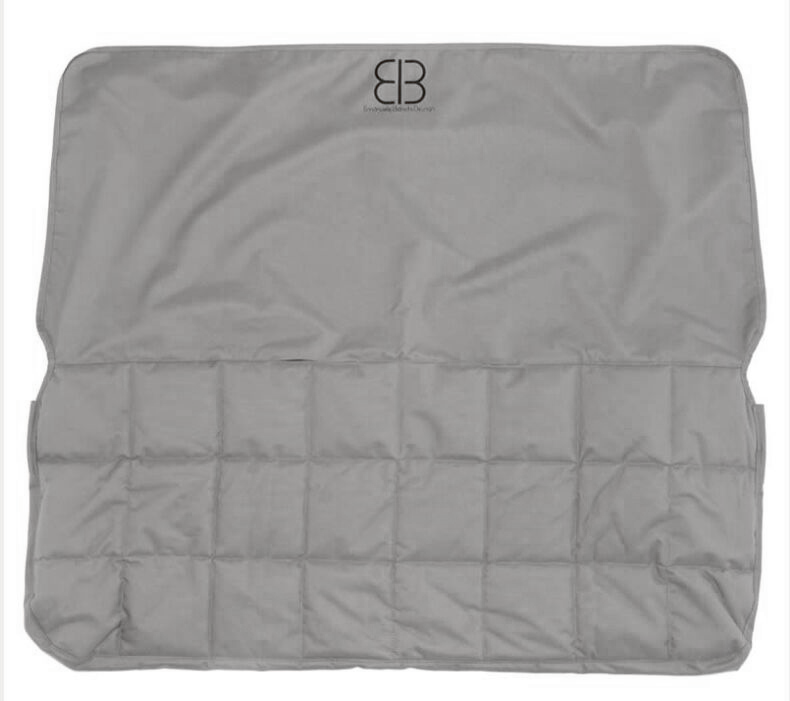 The thick padded seat section makes sitting comfortable, in winter is not chilly, is slip resistant, when passengers are using the seat they do not slip all over the place when turning corners. I also transport grandchildren so car seats and food particles and slops are always an issue - this cover handles whatever is dished out. It is neat and fits the seat well. I did spend some time scanning the internet to find a well made product that would not be offensive to human passengers as well as comfortable to both types of passengers: canine and human.